Following one of the five state qualifiers, which were held last Saturday at Gilmer High School, 55 grapplers from Gilmer, Lumpkin, Pickens, White and Fannin counties are ready for the 2015-16 Georgia Little/Big Kid’s State Tournament. The Gilmer Bobcat Wrestling Club will be taking 28 participants to state. In the 6U bracket will be Bryson Shore (37 pounds) and Isaiah Goodwin (65). 8U Bobcats will be Hayden Berry (68) and Cooper Cochran (79). The 10U Gilmer contingent will be Carson Farist (61), Nolyn Weaver (70) and Angelo Spadaro (91). In the 12U bracket, Arturo Gonzalez (69), Kellen Watts (77), Gabe Reimer (90), Joseph Sanford (112), Dylan Galloway (140), Vincent Zilke (150), Jacob Cruz (160), Dawson Stephens (160), Owen Moss (180), Adan Cook (205) and Samuel Tercero (205) will be making the trip to state. The 14U Bobcats that will be at state are Tristian Kendall (90), Logan Bentley (95), David Reynoso (105), Lucas Lopez (110), Caleb Waddell (120), Jose Velasquez (125), Michael Owens (135), Abel Jacinto (160), Logan Hawthorne (170) and Luke Morgan (190). 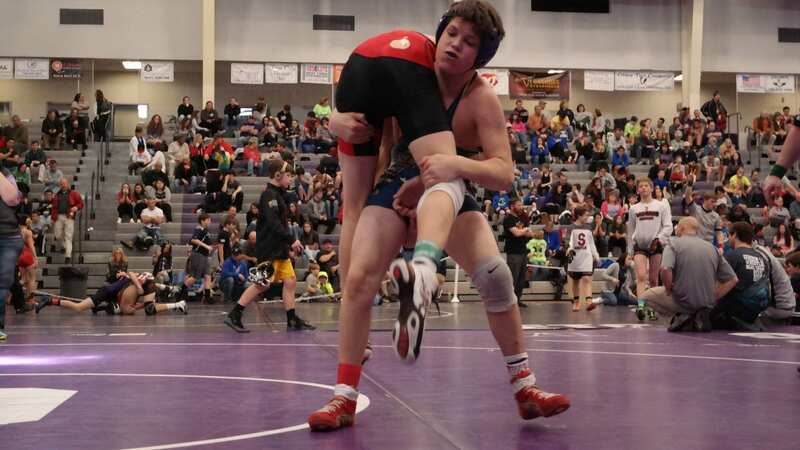 The Lumpkin County Wrestling Club is taking 12 Indians to the state tournament. In the 6U bracket will be Caleb Yorkey (55) and Nate Grizzle (60). Jack Irwin (81), Zack Dooley (112), Brent Canupp (140), Bradley Newton (140) and Kobe Canupp (160) will be the 12U Lumpkin wrestlers, while Camden Cash (80), Avery Mills (130), Nolan Wheeler (130), Samuel Irwin (135) and Aaron Hopkins (170) will be the Indians in the 14U bracket. The Dragons Junior Wrestling Club will take 8U grapplers Philip Jax (60), Raymond Mullins (73) and Brandon Stone (79) to state. Cason Cannon (76), Dominic Fiorenza (76), Cruz Marinelli (84) will represent Pickens in the 10U bracket, while Nathaniel Grace (115) and Dalton Brunner (160) will navigate through the 14U bracket. The White County Takedown Club qualified six Warriors for state. Caden Mathis and Jack Procter (both at 43 pounds) will be in the 6U bracket. Jacobi Cobbs (42) qualified in the 8U bracket, while Davin Lightsey (61) heads to state in the 10U bracket. 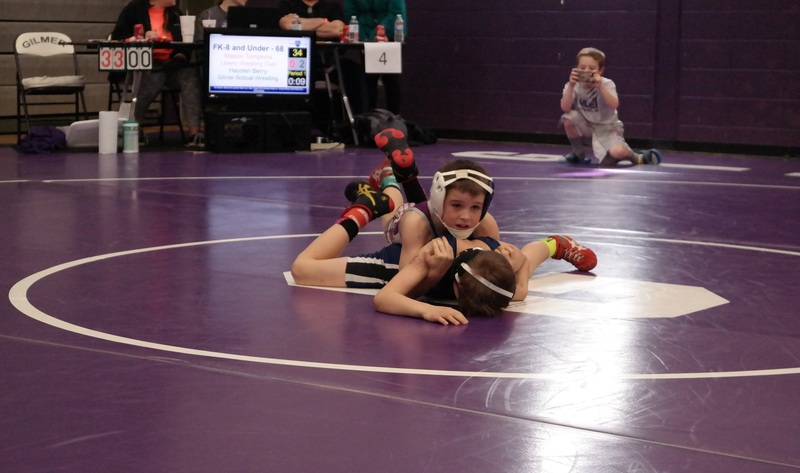 Hunter Adams (130) will be the 12U Warrior at state, while Sean Wurtz (120) rounded out the White County qualifiers by making it to state in the 14U bracket. The lone Fannin Rebel that will be at state is 12U Nathan Anderson (90). 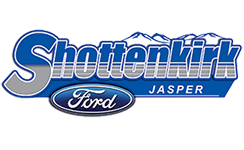 The 2015-16 Georgia Little/Big Kid’s State Tournament will conclude the USA Wrestling season and will be held at the Reaves Arena in Perry.